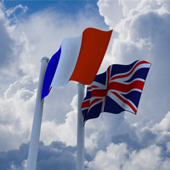 We translate a wide range of texts from French into English including marketing material, financial reports, contracts and general business correspondence. We can handle virtually any kind of file format (including MS Office, PDF, InDesign, Illustrator and Quark), our rates are very competitive and we pride ourselves on being able to meet tight deadlines. Please contact us for prices and estimated turnaround times. Find out more about the team behind Wordsearch Ltd. Our company motto is Doing Good Things. That's what we do.